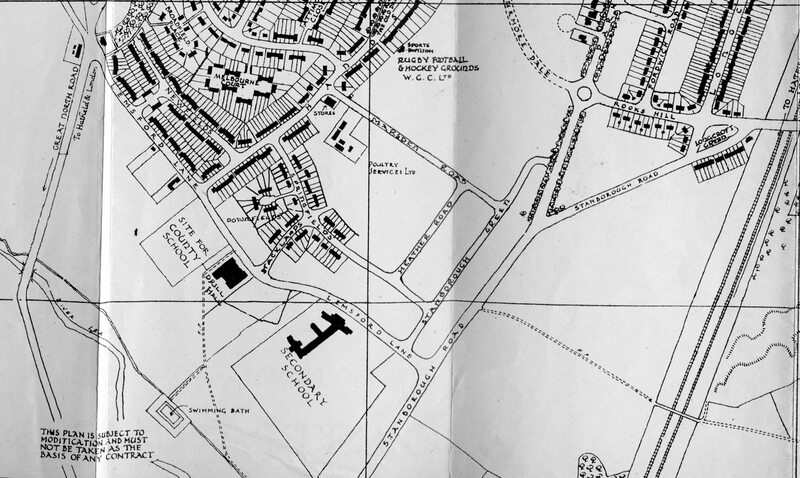 On 4 January 1945 the Welwyn Times revealed that Temorary housing was coming to Welwyn Garden City. 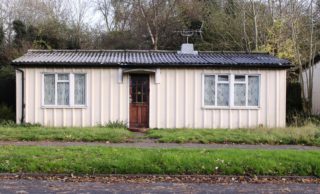 The Council Housing and Town Planning Committee had decided to accept the Ministry of Health’s allocation 50 temporary bungalows, and was asking the Ministry to supply the council with the Arcon Mark V type. The chairman of the council, Mrs M E Nichol said they had chosen the Arcon Mark V as being the best that was available to them, and they had been greatly helped by the architcts Panel. They would be erected in part of Springfields and part of Marsden Road, which would go in to part of the council’s no. 13 scheme, they would be laid out as attractively as possible. So what were these Arcon type houses? Developed and constructed by Taylor Woodrow, the Arcon was an asbestos-clad prefabricated house , with a prefabricated kitchen and bathroom capsule. The later rolled top roofed Arcon Mk5 was developed by Edric Neel 38,859 were constructed through the programme. It had two bedrooms of a generous size with picture windows which included an opening window. The kitchen was fitted with steel cupboards, drawers and an integral sink unit. A side door entered directly into the kitchen. A gas (copper) boiler, gas oven and hob, and a fitted-in gas fridge were incorporated into the inbuilt steel kitchen units. A drop-down wall-fitted table adjacent to a built-in larder was opposite the built-in units. The lounge had an open coal fire, the heat from which heated a back boiler, thus giving “free” hot water. The bathroom had a full-size bath and fitted steel cupboards. There was a separate toilet. The lounge and both bedrooms had steel built-in cupboards and drawers. Arcons were so well fitted that the only furniture necessary were beds, kitchen chairs, lounge seating and floor coverings. Chain-link fencing, a gate and a coal shed built with corrugated steel from Anderson Shelters and brick front and rear walls was also provided. Gardens were of sufficient size to grow vegetables, and many early residents quickly erected a chicken run. That was the description given, however the council had to change their plans as the Arcon became unavaialable. At the council meeting on the 8 February 1945 a letter that they received from the Ministry of Health suggested the Peonix type of temporary bungalow and that one had been erected on a site near the Tate Gallery for experimental purposes and that representatives of the council were wlcome to inspect it, if the Ministry of Works were advised before the visit then they could send a representative to explain its construction. In the following months council meeting of 8 march 1945, a letter received from Welwyn Garden City Limited was read out accepting 50 of the Pheonix Type of temporary bungalow. They would be erected and remain in the Lower Handside area for a period of ten years or for such times as the government would determine as a proper life of these buildings, which ever was the shorter. The ground rent in respect for these dwellings was set at £1 per house per annum. 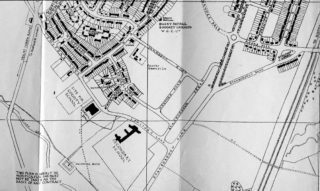 In the April’s council minutes it was noted that the layout for the 50 temporary bungalows in Springfields area prepared by the council’s architect, Mr Fox had been approved by the Ministry of Health. Details of drainage, levels, gas and electricity had now been supplied to the Ministry of Works. So what did the Pheonix look like? Tenants should remember that the temporary houses are built of materials very unlike the ordinary brick and plaster. If walls are knocked about with rough treatment, cracks may appear which will not be easy to repair. You should be particularly careful not to drive nails into the walls, either inside or out, as this would probably crack them. The bedroom can be heated by means of hot air, carried through ducts from the living room stove, which have been specially designed for this purpose. Special cards of instructions are provided by the makers on how to use the living-room stove, the cooker and the refridgerator. Make sure that you know how to get the best use from the equipment without wasting money. The following notes are intended to help you in running you house. It heats the bedrooms by means of hot air which passes to them through ducts in the ceiling. This can be shut off by closing the damor in the duct near the coiling in the kitchen, hall or over the airing cupboard. It heats the water from the kitchen and bathroom. By the living-room stove, which has a boiler fitted in it. By an electric immersion heater in the hot water cylinder. This immersion heater is automatically controlled to keep the water hot. When the heater is switched on it statrs to work (and so uses electricity) if the water drops below a certain temperature, so remember to switch off the immersion heater when no hot water is wanted, or when the living-room stove can provide you with sufficient hot water. The wash boiler This may be either fixed or portable, heated by either gas or electricity. If it is a gas heated portable boiler connect the flexable gas pipe to the socket below the left-hand corner of the sink. to turn on the gas insert the plug in the socket and turn in a clockwise direction as far as it will go. To lower or cut off the gas turn the plug in an anti-clockwide direction. The electric wash boiler is controlled by a switch on the boiler. This switch is clearly marked, high, medium, low. Turn it to whichever heat is wanted. Condensation When the weather is damp, drops of moisture may form on the walls and ceiling. If so, open windows as far as the weather allows but shut them when a warm damp spell follows a cold snap. When washing or cooking open the kitchen windows, but keep the doors of the room closed. This will force the steam out of the house. When warming rooms to dry out the damp, keep windows open. Turn off the water at the main. In October 1945 there was a question about clothes posts. The contractor said that he was not required under his contract to supply and erect the clothes posts and the housing assistant was given permission to do so. 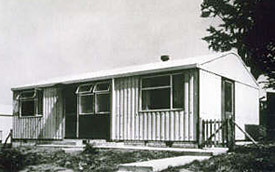 In the meeting of 11 October 1945, it was also noted that ten of the temporary bungalows were tenanted and a further two would be on the 12th October, the question of shrubs was also mentioned as a screen and it was then referred to the architect for consideration and be reported upon at the next meeting. 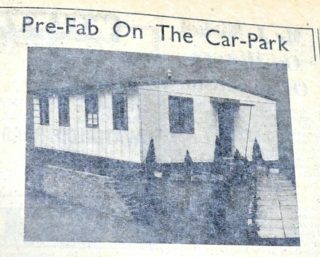 An article appeared in the Welwyn Times 19 October 1945, page 1 called “Pre-Fabs are so popular” and the first tenants seemed delighted. 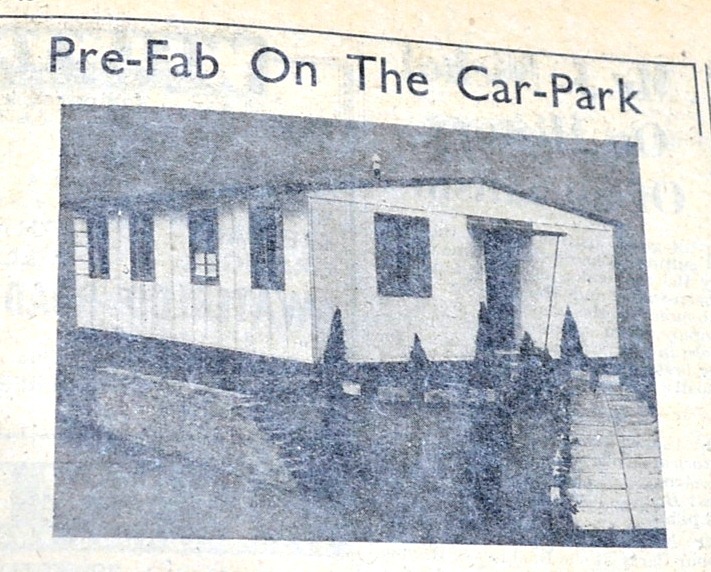 ” The first inhabitants of our local pre-fabs are most enthusiastic. Mrs P Jenkins (48 Springfields), who has been living with her mother in Barnards Green since she was married, thinks the Phoenix is a wonderfully planned house. Other points made by Mrs Jenkins were that she found the house soundproof, warm and with much more space for her furniture than she had expected. One of Mrs Jenkins few complaints is about visitors. They seem to regard it as an exhibition house and walk straight in. The committee meeting minutes of 8 November talk about lack of painters, which was holding up the finishing of the bungalows, it was agreed that two painters from the maintenance team and three from Messrs Welwyn Builders would be loaned to help complete the job. And twelve posts had been delivered and erected. Of the tenants that had already moved in, they appeared happy and pleased with their new homes. Twenty six houses had been handed over so far and another four would be taken over by the weekend. Of the 26 tenants in occupation, 11 were families with men serving in the forces. The Welwyn Times reported on 21 December 1945 how the temporary bungalows were going to be allocated. Five principles on which new temporary bungalows are to be let by Welwyn RDC were approved by the Council at its December meeting. Mr J C Callcut, chairman of the committee, said that in order to make sure that the most deserving cases got the new houses he and his colleagues on the committee were prepared to make personal visits to all the applicants to inspect on the spot exactly what their living conditions were at present. Forty two bungalows had been handed over to date and it was anticipated that the last 8 remaining houses would be occupied by the end of the month. The scheme of 50 temporary bungalows was now complete and all the proporties were let. Of the 50 tenants, 23 were members serving in H M Forces. Work was proceeding with the ercetion of clothes posts and the only outstanding work was that of the installing of refridgerators and the external painting of the dwellings. This was deliberately being left to let the walls weather sufficiently to allow the application of paint. The only other problems that had been bought to the attention of the council, was the wireless reception was not particularly good. 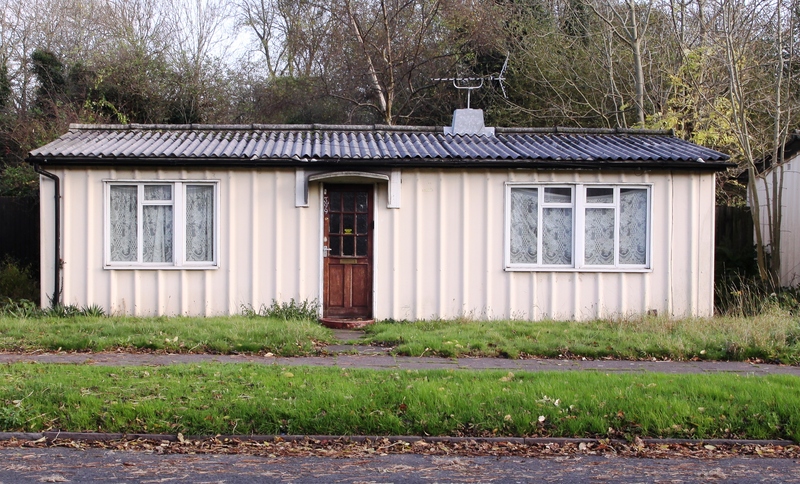 It was agreed that the housing assistant should talk to Murphy Radio Ltd about the poor reception, as they were opposed to erecting wireless poles in the area,but were sympathectic to every endeavour being made to permit good reception by the residents of the temporary bungalows from their wireless sets. This page was added on 07/07/2015. What about the ones in Wheatley Road?